Heathcote had a memorable career, including leading Magic Johnson's team past Larry Bird to the 1979 NCAA title. 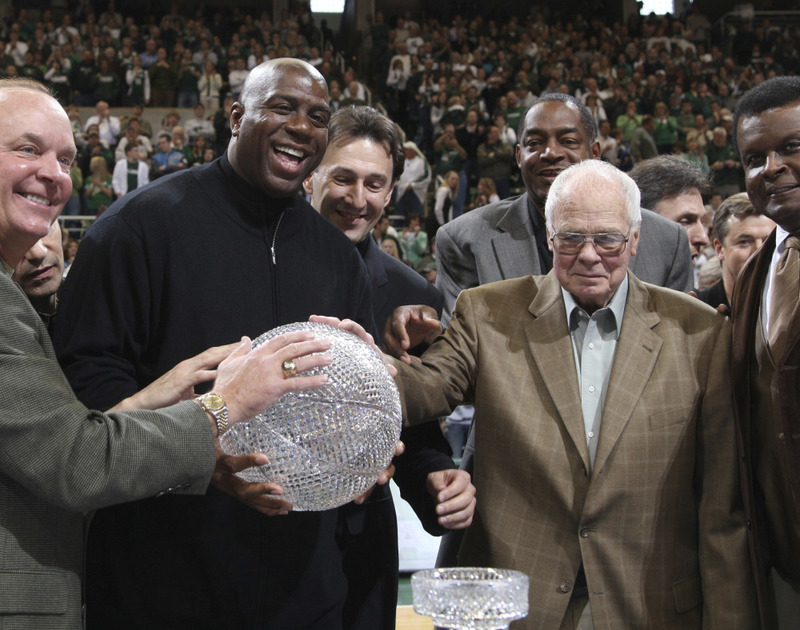 Jud Heathcote, who led Michigan State and Magic Johnson to the 1979 NCAA championship, died Monday in Spokane, Washington, the school announced. He was 90. He was inducted into the National Collegiate Basketball Hall of Fame in 2009 with Johnson and Larry Bird, whose Indiana State team lost to the Heathcote-led Spartans in the 1979 final. Heathcote got his start in 1971 as a college head coach at Montana, where he had an 80-53 record and won two Big Sky championships. Izzo, a Basketball Hall of Famer, helped the Spartans win their second NCAA men’s basketball title in 2000. He often leaned on Heathcote for advice, counsel and humor. One of those is South Florida Coach Brian Gregory, who started his career as a graduate assistant for Heathcote, and was promoted within the program before moving on to lead Dayton and Georgia Tech. “For the first time since I was 25, I won’t get a birthday card from him and won’t get a call from him after a game and that really bums me out,” the 50-year-old Gregory said. Heathcote had legendary gatherings with coaches on Friday afternoon – and sometimes evening – during Final Four weekend, for two-plus decades before health problems prevented him from traveling to the tournament. “It was known as ‘Jud’s party,’ and it became Final Four folklore,” Gregory said. “He’d get up in front of everyone and tell a bunch of jokes, holding court for high school, junior college and big-time coaches. They all came to see him.